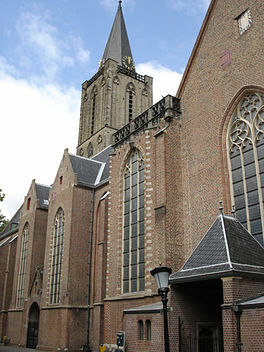 The Jacobikerk is one of four medieval parish churches in Utrecht. 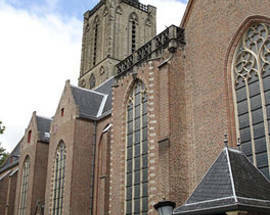 Although the largest part of the building originates from the 15th century, some sections date back to the 13th century. 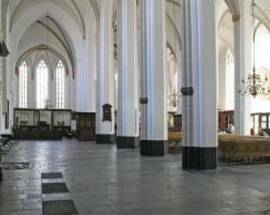 This impressive Gothic church also boasts the oldest sundial in the Netherlands (1463) as well as some colourful frescoes. 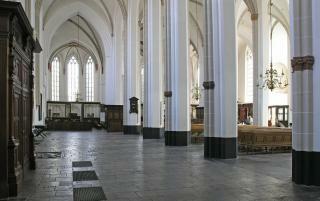 The oak pulpit and the copper choir screen are also worth mentioning. 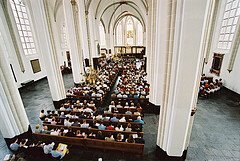 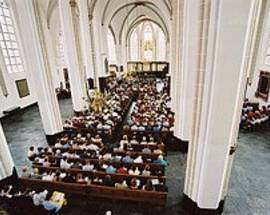 Today its 900 seats are occupied by a Protestant congregation during services.